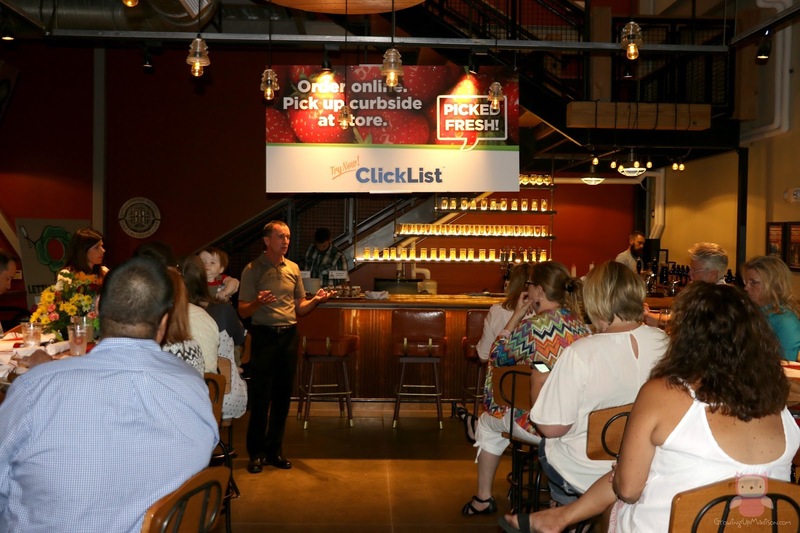 Last week I was invited to a meet and greet event hosted by King Soopers to preview some really exciting changes to how you can shop online for your groceries. King Soopers is one of our local supermarket and it just made sense for me to attend because I shop there frequently. It's within close proximity to my home and I also love the convenience and the prices of both organic and non-organic items, so I jumped in my car and drove the over 1hr journey to hear what exciting new changes were going to take place, and what a change it was, at least for me it was. It was my pleasure to hear that King Soopers was now introducing a brand new service called ClickList which would allow me to order my essentials online and pick up at the store at my convenience. 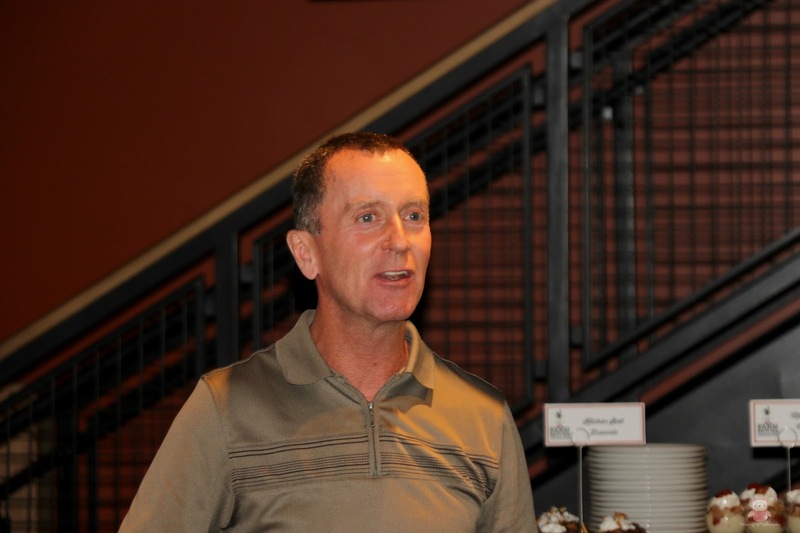 We had King Soopers representatives explain to us how it all works. First you would need to visit KingSoopers.com/ClickList to create your free online account. There is no minimum or maximum purchase account but there is a $4.95 service charge per order. However, your first three orders fee is waived. At this time the only valid form of payment is credit and debit cards. You then choose a convenient time slot for pickup within a one hour window. Pick-up hours are 8am to 9pm , 7 days a week. However, orders placed by midnight can be picked up as early as 8am the next day. Once your order is submitted, there is a dedicated ClickList employee who carefully chooses your time and then store them in a proper temperature zone until you arrive to pick up your order. To retrieve your oder, you will drive to a convenient, clearly marked pick-up area in the front or side of the store to notify the ClickList team of your arrival. The ClickList employee with then deliver your oder to the car, in branded ClickList plastic bags within minutes of your arrival. So here are some questions you may be asking yourself and I'm here to provide those answers. How do you know you'll get the freshest items available in terms of produce, meat and seafood? Quality is their top priority and your ClickList employee will hand-select produce, meat and seafood items for your oder with great care. These items will then be stored appropriately (including refrigeration or freezing) until it's time to load them in your car. Can you use ClickList on your mobile device? Yes, you can! You can access the ClickList service on your mobile device at KingSooper.com/ClickList, however ClickList is not yet available on the mobile app. What if an item in my order is out of stock in the store? While King Soopers strives to keep all items in stock, an item you've selected may occasionally be out of stock. ClickList employees are trained to make proper substitution for out of stock items, so you will always have the items that you need, as close to your original order as possible. However, you have the option to allow or not allow substitutions when you place your order, so it's all up to you. At this time, yes but only in select areas. How do you redeem coupons? If you have digital coupons already loaded to your King Soopers loyalty card, they will be automatically applied to your order and will be discounted from your total at pickup. At this time, prescriptions cannot be added to your ClickList orders. What if you're not satisfied with something when you get home? 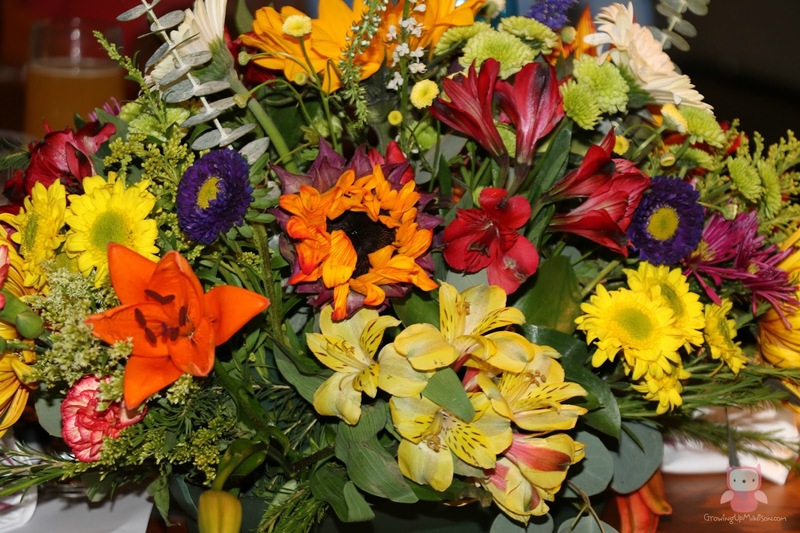 If you're not 100% satisfied with your order, please connect with your store manage or call King Soopers Customer Connect at 1-800-576-4377, Monday through Friday, 71m - 8pm CST, and Saturday and Sunday, 9am - 5:30pm CST and they will do their best to make it right. When will ClickList launch at my store? More stores are being added to the ClickList service all the time. To find out when a ClickList comes to a store near you, sign up to receive emails. While I love shopping in store and personally picking out my own fruits/veggies etc., there are times when I'm not able to make it out the house. Times for example when I have a sick kiddo or two on my hand. The King Soopers ClickList will come in handy at those times and also will give me extra hours during the day to do other things as well. Waiving the first 3 orders is also another incentive for you to give them a try and see if they would work for you. While my local King Soopers don't currently offer this option, I can't wait until they do and will be checking. If you have a local King Soopers near by sign up for ClickList and give them a try today! What do you have to lose? It's an amazing service and I'm glad it was introduced. I need a service like this in my life! I have four kids, a blog, and a PR group. I need all the convenience I can get. Oh you and me both. I have 4 kids as well and this blog so extra time for myself don't come up too often. This is a great service. I love that it saves me precious time so I can attend to other important things during the day. Thanks for letting me know about Clicklist. I will check them out and see if it is available in my area. It would save you time. Check them out and remember your first order fee is waived. This sounds like a really convenient service. I can see this being great for people with busy schedules, parents, or disabled people! It's a great service for everyone! This is such a smart service to offer. I would love to give it a try as I do not always have access to a car. Yes it is and remember they also offer home delivery in certain areas. Be sure to check that it's available in yours. This looks like such a great option for moms who don't want to unload the kids. It sure is! I know I hate sometimes going into the supermarket with my daughter who wants EVERYTHING in there she sees. This eliminates that. This looks so convenient! I hate when you go to the store to buy something and they don't have it! Oh you and me both! I love getting what I need as well without having to hunt for it. This is the way groceries operated in the south about 45-50 years ago. It was all call and pickup, things were in a cardboard box. My mom and Nana told me about it. Nice to see that service has returned. I didn't know that. That must have been very convenient then and it sure is now as well. I can definitely think of plenty of occasions where ClickList could really come in handy. I really appreciate their dedication to quality too. Oh I certainly appreciate their dedication to quality, it's one of the reasons why I would use them. This is a great idea. All stores should have a 'order online, pick up in store' option. It would save a lot of time. It sure would and I know quite a lot of people would utilize it. I love that your coupons can be loaded onto your loyalty card and you still get your discounts. It's worth using the service if you still get to save money. That is a bonus for sure! I know that I would love to save some more with my coupons. Wow, this sounds incredibly convenient. 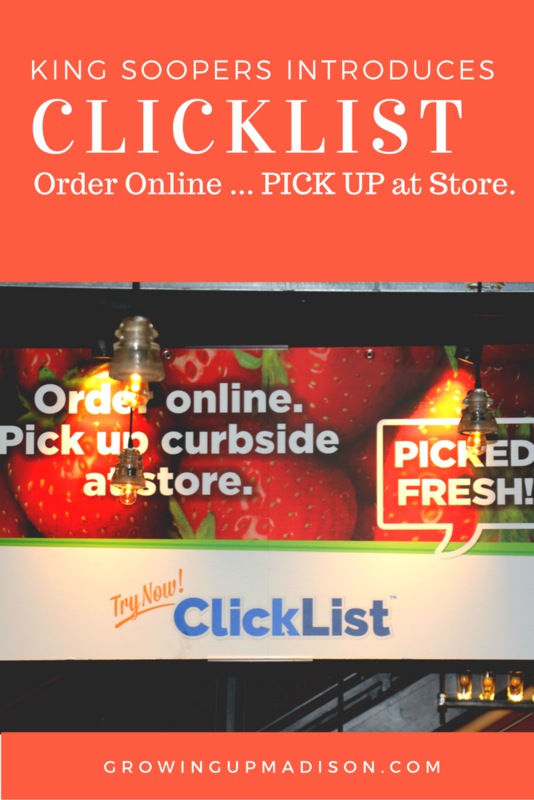 I can think of plenty of situations where I'd want to order groceries through Clicklist. Oh I can certainly imagine. I just love the convenience. I loathe grocery shopping, so this sounds like a service that I would greatly appreciate! It's nice to know that you still get your discount savings as well! Yes it is good to know that. That added bonus makes everything so much better. Great to hear from King soopers. I wish we had this in our country so we can also experienced this. Hopefully King Soopers may be an inspiration and others can do the same thing too. One of my goals this fall is to work smarter, not harder. If I can swing through a store where my groceries are all ready or get them delivered to my home I'm all for it. There ya go! That's the way to do it for sure. Why do things the hard way and by yourself when you can have it done for you. I like how shopping can be really convenient to us moms. I wish we have Kings Soopers at our place. That's what most moms want, convenience. When you're a mom, you don't have a lot of time and if something can save you that time, that's great! I just checked and my King Soopers doesn't have it yet but I hope it comes soon. This will save me tons of time and I just love the convenience. Thanks for this because I had no idea about it before now. I wish I had a King Soopers near by but I'm hoping that my own local supermarkets would follow their lead and start offering this service as well. When you have kids and only 24hrs in a day, anything that will save us time I'm all up for. That 3 waived service fee is great too! I'm actually hoping that this is the start of something good and that most supermarkets start offering this service. This is a great idea. I would love to shop shop online for my groceries. I will have to give it a try. You should give it a try and remember you get your first free pick ups for free. What an amazing time saver. I would LOVE to do this to avoid the hour and a half shopping trip with all of my kids. It surely would save you some time. You time you take to go shopping, you'll have that time to do a lot of other things. This seems to be a growing trend for grocery stores. We live near a Lowe's Foods that now offers online ordering and on-site pickup. They don't do home delivery yet, but I am betting it won't be far behind. It's the best thing ever! I'm happy that more supermarkets are doing this. Saves us lots of time. This sound like a great store one I might actually shop at myself. Nice to know they're saving lots of time. It is and I'm assuming you don't have it near by. You're truly missing out. Do you need to tip?